Your Beauty Industry: Move over BB Creams – CC Creams are heading to the UK beauty market! Move over BB Creams – CC Creams are heading to the UK beauty market! Have you got your head around BB Creams yet? Well you better had, because CC Creams are now on their way! Having been alerted to their existence by British Beauty Blogger’s recent post, upon researching the market I’ve discovered that CC Creams (like their BB counterparts before) are already popular in the Asian beauty market. Harnessing all the existing benefits of a BB Cream (moisturiser, skin repair, anti-ageing, primer, foundation, skin refiner and sun protector), CC Creams (which stands for Colour Control) will have a lighter consistency in a non-oily formulation – which is a bonus for those with oily skin who have found BB Creams to be too greasy. 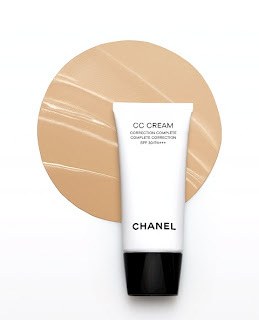 CC Creams will also offer a higher level of coverage (more akin to a foundation), contain more nourishing ingredients and a high SPF for additional sun protection, with a darker range of shades available as most BB Creams are only suitable for lighter skin tones (because of their skin-whitening origins in Asia). Given the huge impact of BB Creams on the beauty industry over the past year, I’m anticipating the same hype with CC Creams. Hot off the mark is the Chanel Complete Correction CC Cream, which is yet to hit the UK beauty market but I imagine will be one of the first to do so. It makes you wonder if DD Creams will be next to hit the market – perhaps increasing bust size while perfecting skin (see what I did there…?!). Do you think CC Creams will be a big beauty trend?